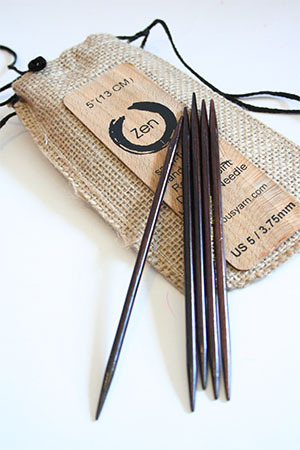 Fantastic 5" sock knitting needles, with the most amazing silky satin finish, but warm and wonderful to the touch. In a gorgeous pouch. Beautiful sock knitting needles in the perfect 5" length. Handcrafted of fine Rosewood or Ebony. These feel SO GREAT in your hands! Take your sock obsession to a new level! Packaged in a lovely drawstring silk pouch, these make great gifts for the sock fanatic! ALL SIZES NOW IN STOCK!